For the second time in one day the an article in the New York Times has stimulated me to write a journal entry. Peter Robert Casey was hired by St. John's University to cover the basketball team entirely on Twitter. He is a basketball fan with 50,000 followers on Twitter. It is small world since he commented on a journal entry of mine about the NJIT basketball team. I then friended him on Facebook. When you wake up in the morning be thankful you have a job! Much has been said about the Woodstock Music and Art Fair at its 40th anniversary. 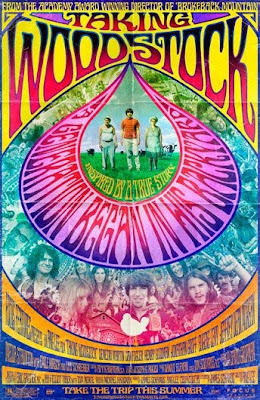 So I had to satisfy my curiosity and see the new movie Taking Woodstock. It was not playing at the local multiplex so we had to take a 10 minute drive to Bayside to see it. It was a partly fictionalized account of the famous concert and the preparations for it. 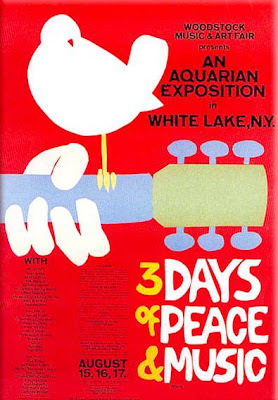 The festival did not take place in Woodstock, but in Bethel, NY. The movie tells how a young man helps his parents run a dilipidated motel and convinces the producers to move the festival. If you want to see a concert movie, you will be very disappointed. You do hear some background music from the concert, but there is no footage from the original movie. There was a scene wher someone had a sign asking about Bob Dylan. Even though he lived nearby, Bob did not perform. In 1969 Dylan did appear at the Isle of Wight festival. This was my first 5 day week since early June. So, I came home "so tired." Yes, the calendar says August 27th and I have to work on Friday tomorrow for the first time since June. I will have to dig this LP out of my collection and play this cut as I have done for many years at the end of August. It was officially announced today that on October 13th Bob Dylan will be releasing a CD with a collection of holiday songs titled Christmas in the Heart. The announcement from Columbia Records states that royalties from this CD will be donated to Feeding America, guaranteeing that more than four million meals will be provided to more than 1.4 million people in need in this country during this year's holiday season. Bob Dylan is also donating all of his future U.S. royalties from this album to Feeding America in perpetuity. 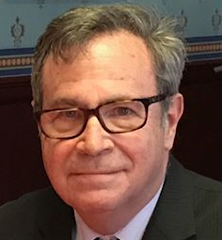 A mitzvah for Bob. Did I forget anyone? I am sure that Alan Berman who reads this journal religiously will remind me of any omissions. His songs are vague and open to interpretation. Since we ran around the past two days, it was better to stay closer to home. We enjoyed Latin jazz, a new genre of music for us at the Flushing Town Hall as we heard the Willie Martinez Ensemble. At least we didn't stay home to watch the Met game. Oliver Perez who makes $12 million/year gave up 6 runs in 2/3 of an inning. The Mets were behind 9-7 in the 9th inning with men on first and second and no outs and hit into an unassisted triple play. Oy vey! I remember the 1969 baseball season quite well as I was a student at City College of New York. Until that point the Mets were baseball's loveable losers. They started out the season 18-23 but won 38 out of 49 to win the National League East title. They beat the Atlanta Braves in 3 games during the first League Championship Series. They beat the highly favored Baltimore Orioles 4 games to one. Back then the postseason games were played in daytime so people used to bring transistor radios to work or school. I remember cutting class once to sit around someone's radio to hear the World Series. Last night the living members of the 1969 team and coaching staff were introduced. Also families of manager Gil Hodges, Tommy Agee, Tug McGraw, Don Cardwell, and Cal Koonce were introduced to the fans. We saw videos of some of the spectacular catches that were made duing the series. Between innings the Greatest Hits of 1969 were played. The video below lasts about 9 minutes. I guess I should talk about the game. Sadly, the 1969 team could not rub some of it magic off the injury depleted 2009 team. The Mets lost 4-1 to the Phillies. There were pleny of Philadelphia Phillies fans in the stand who were quite happy. I have been a big supporter of WCBS-FM since the mid 1980s and had been to some of their concerts at the Radio City Music Hall years ago. I really wanted to go to this barbeque since I missed the one last year and the CBS Radio Expo at Citifield in May. It was very hot and humid all day and it started to rain hard about 4 PM. It let up and we decided to leave about 5:45. Friday night traffic was heavy so we arrived at Nansen Park about 7:00. This was the first time I had stopped in Staten Island since 1982. Back then I had an interview at St, Vincent's Hospital there. A few weeks after the interview I got a phone call from the Human Resources Manager saying that I didn't get the job. This is extremely rare since very often unsuccessful candidates never get a rejection letter. Why do I remember these things? When I got there I met radio enthusiasts Andrea Wiener, Mary Shaw, Cara Sieden, and Jerry Gillespie. There were a few people there. Perhaps I know some of them electronically :). Ron Parker was signing autographs while Joe Causi broadcast the show over the air. Since Broadway Bill Lee did his show at the studio until 7 PM, he did not arrive until later. I was disappointed that Dan Taylor, Sue O'Neal, and Bob Shannon were not there, but there must have been a legitimate reason. There was plenty of food for everyone. There were performances by the Tramps and the Temptations Revue featuring Dennis Edwards. Sadly, most of the original Temptations have passed away. I have posted my pictures on Facebook. I am sure that Andrea and Mary will also do this. Non-Facebook people can see my photos at http://picasaweb.google.com/Bigtownman/WCBSFMBBQ. I had my picture taken with ketchup on my face :( . Oh well. Back in the 90s I used to trade radio tapes with some friends in Boston. I really enjoyed hearing the Lost 45s with Barry Scott which was heard over several radio stations in New England. For a while the show was syndicated but never heard over the air in NYC. Barry Scott plays hits from the 1970s and 80s that are not usually heard over the radio as the show implies. The show is streamed Sunday nights from 7-11 on WODS. There is now an online only version of the program which is available 24/7 at http://www.lost45s.com/ . Lee and Karen went to the Museum of Modern Art today while I went to work. There was an exhibit there on the artist James Ensor. 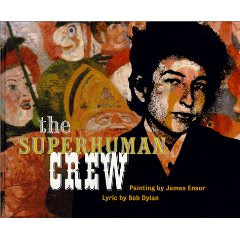 When he cam home he showed me the book above titled the Superhuman Crew published by the J. Paul Getty Museum. Heather, should I format this in MLA or APA? The editor John Harris states that book brings together two visionary works of art Christ's Entry into Brussels painted in 1889 and Bob Dylan's Desolation Row from the Highway 61 Revisted Album issued in 1965. The editor believes that the themes depicted in this painting embodies the same theme as the Dylan classic. The book includes a CD with the song. I am a day or two late about this, but back in the summer of 1969 I did not have my own car so I couldn't even think about driving up to Woodstock. Back in those days I drank beer at the Frontier Palace on Union Turnpike with Joe Viel and the other guys from Sigma Beta Phi fraternity at CCNY. I remember in 1970 going into Manhattan with Roy to see at 10 AM showing of the movie. I did buy the soundtrack LPs and still have them on vinyl. As I am listening to this I am listening to Pete Fornatale's WFUV show from this past Saturday. The archived version may be heard at http://wfuv.streamguys.us/cgi-bin/colinker.cgi?colink=1003773528328 . It will only be available online for about two weeks. Pete Fornatale also recently wrote a book on Woodstock called Back to the Garden: The Story of Woodstock. My friend Alan Berman saw Pete promote the book at a Borders in Manhattan. Mom was born in eastern Europe in 1919, but her date of birth was never recorded. Since she was born about the time of Rosh Ha Shanah she always observed her birthday on September 4th. All of a sudden this year she said when she registered for school in the USA as a small girl her father or older cousin used August 1 as her birthday. Anyway she wanted to celebrate in August this year. 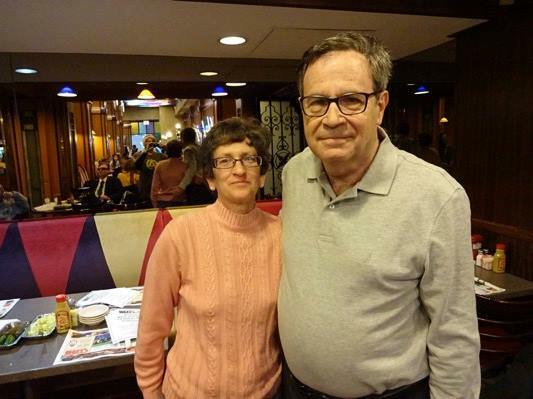 My sister Joyce who lives in Dix Hills, Long Island picked Cafe Rustica, an Italian Restaurant in Great Neck. You can see photos at http://picasaweb.google.com/bigtownman/90thbirthday . I also uploaded them to Facebook as I watched Who Wants to be a Millionaire. 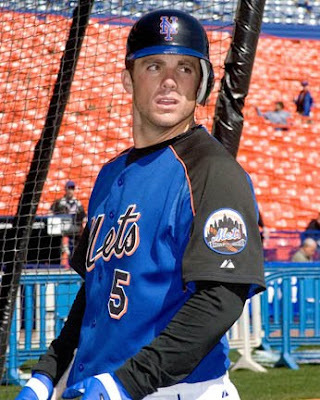 New York Mets star David Wright was hit in the head in the 4th inning of the game at Citifield this afternoon. It took him a minute or so for him to come to his feet after he was hit. Thank goodness for batting helmets. The latest report said that he suffered a concussion and will be staying in the hospital overnight as a precaution. It has been such a tough season for the Mets losing stars Carlos Beltran, Carlos Delgado, Jose Reyes, and J.J Putz among others to major injuries. The Mets were down 4-1 but tied the game in the bottom of the 8th. Francisco Rodriguez gave up a home run to Benjie Molina in the top of the 10th as the Giants won the game 5-4. Last night my neighborhood public library featured a singer, Flo Michaels, who sang hits of the 1950s and 60s. Most of the people in the audience were senior citizens as expected. What struck me as funny was that in the middle of the performance a librarian came into the room and counted the people there. I went to this performance to get away from the bean counters. I guess librarians must count everything I did a search on Youtube and found this video of Flo Michaels. told Regis Philbin that they tried for 10 years to get on the show. Once you do get on the show questions can be about anything in the realm of human knowledge. I do not know that much about current popular culture, the arts, and English literature among other subjects. On Jeopardy the luck factor is the categories that come up and the expertise of your opponents. If you much just one question on Millionaire, you are finished. 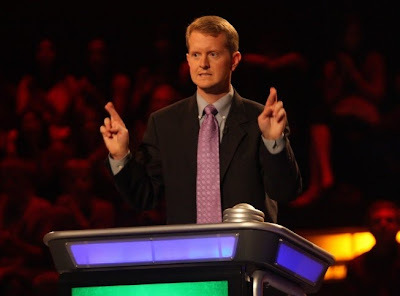 You must really have to admire Ken Jennings seen above for winning 74 matches on Jeopardy. Nobody even came close to that total after the limitation on 5 wins was lifted. I am certainly interested in being someones phone a friend on Millionaire. As I mentioned in yesterday's posting I receive statistics from Google Analytics on the locations from which people access my journal. The second most common location outside of NYC is Hillside, NJ. I know these hits are from radio enthusiast Frank D'Agostino. However, the most common suburban location is Stamford, CT. 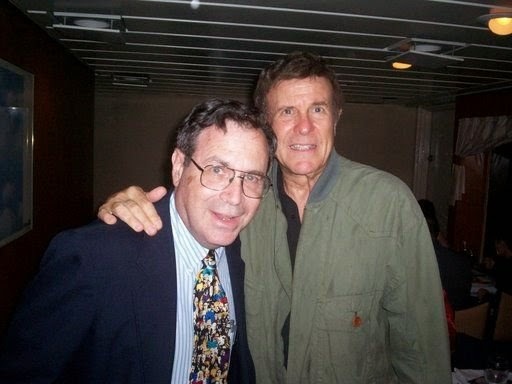 The only person I know from there is Larry Stoler whom I've met at number of Meet and Greets of oldies radio fans. A few years ago I met Larry at Grand Central Station and walked with him to the luncheon at Ben's Deli on West 38th Street. I haven't been in touch with him in a while and I've never discussed this journal with him. I really wonder who is that person from Stamford. Please e-mail me. I get statistics from Google Analytics on how people find my journal or individual pages on it. 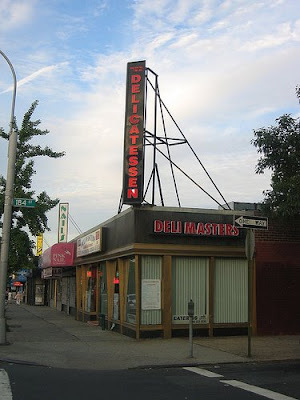 Many people have found my article on Jahn's Ice Cream Parlor in Rego Park. When I did my walking tour of Rego Park a few weeks ago I took this photo the location where Forest Hills High School kids hung out in the late 1960s. It is now the Tung Shing House, a Chinese restaurant. 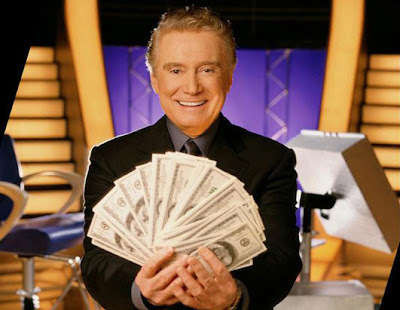 To make a long story short Who Wants to be a Millionaire premiered in the evening with Regis Philbin as the host in 1999. In 2004 a daytime version hosted by Meredith Viera premiered and is seen in NYC weekdays at 12:30 on Channel 7. To celebrate the 10th anniversary of the show, Regis Philbin will be hosting the show for 11 nights over the next two weeks. I was wondering over which rules would be used for this version since new lifelines were introduced over the years. This helps me fill the void while Jeopardy is running repeats. It's nice to have a small concert venue in the neighborhood with subsidized musical events. We went to Flushing Town Hall today to see the Lew Picardi Orchestra. They played the elegant sounds of The Tommy Dorsey Orchestra, Benny Goodman, Count Basie and Woody Herman. It was something different for a Sunday afternoon. I always like to do different things so we went to the Intrepid Sea Air and Space Museum at 46st Street and the Hudson River. Karen and Lee were there a few years ago, but today was the first visit for me. 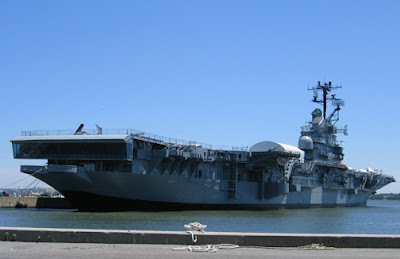 Aircraft were launched and recovered from the flight deck of the Intrepid from 1943 until it was decomissioned in 1974. It served in World War II, the Korean War, Cold War, and Vietnam. It became a museum at the Hudson River in 1982. There were attractions on every deck including many military aircraft. There was a British Airways Concorde that we were able to tour. The former USS Growler the world's only diesel powered nuclear missile submarine was open to the public as well. We arrived at the museum about 1 PM and left about 5:30 PM. When I got home I heard the story of a helicoptor and small airplane colliding over the Hudson River about 12 noon. This was about 1 mile south of the Intrepid Museum. Sadly 9 people are presumed dead in this tragedy. 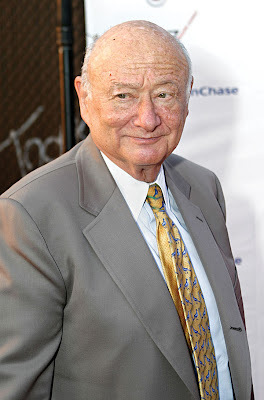 Former Mayor Ed Koch is a regular guest on Mark Simone's morning show on WABC radio. Mayor Koch recently underwent open heart surgery and was hospitalized for several weeks. He was interviewed this morning by Mark and reported that he has been home for about two weeks and is on the mend. The two discussed President Obama's health care proposals among other topics. I don't want to get involved in political discussion here, but one can not argue that Ed Koch is one of the most colorful elected officials in recent history. I am glad to hear that he is doing better. When I bought my new laptop I knew it had capabilities not available with my old computer. Of course technology changes so quickly it is dificult for an older person like myself to get out of a comfort zone. I finally figured out how to burn a video to a DVD. I had to download an upgrade to the Realplayer, but I now can do it. To test out my newly acquired skill, I went to Youtube and download 3 videos of Bob Dylan (who else) and burned them to a DVD and viewed them. The Newark Bears play in the Atlantic League which is a minor league not affiliated with Major League Baseball. Since the NJIT baseball teams plays there, the university has an agreement to allow employees to go to game free at the Bears and Eagles Riverfront Stadium within walking distance of the campus. I usually go once a season and try to get an NJIT library contingent to come with me. Today I was able to convince Galen and Aron to come with me. The game began at 11 AM to accommodate day camps bringing their kids to the game. There was actually a power failure in the stadium. The scoreboard didn't work and there was no loudspeaker system. We had seats right behind the dugout of the visiting Long Island Ducks managed by hall of famer and former Met Gary Carter. 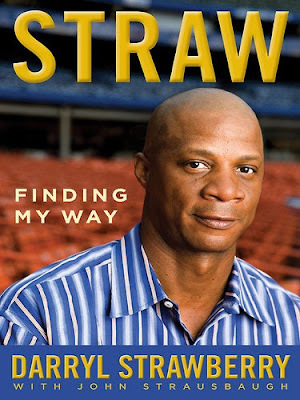 The Bears are managed by former Montreal Expo Tim Raines. The Bears won the game 8-2. By 2 PM I was back at work. 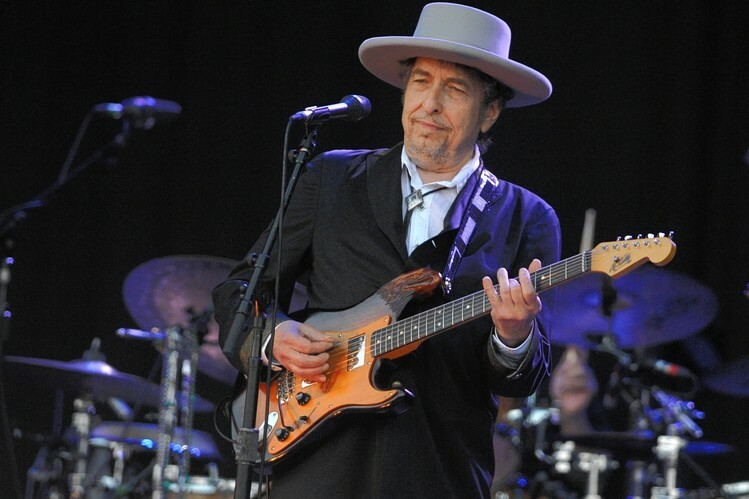 Isis, a Bob Dylan fanzine, reports that following his last tour in the Spring Dylan recorded an album of new material that will be released as a new CD in December. Part of the rumor was that it would an album of Christmas songs. None of this was confirmed and likely would not be until a month or so before the release. Even though Dylan is Jewish he did feature a Christmas show on his Theme Time Radio Hour. We will just have to wait and see. When dealing with new technologies, it is very easy to reach a comfort zone and just be afraid to press forward and at lest explore new technologies or enhancements to existing ones. For example, I held on to my desktop computer for almost 6 years. My Internet searching got gradually slower and a few months ago i bought a state of the art laptop. Of course, there is a faster and better model out right now. Just today i added more entries to my Google Reader account. I get updates from web sites covering sports news, radio news, Bob Dylan, and technology news. There is so much out there and it is still so difficult to keep up with everything. I guess you don't have to read everything, but its out there when and if I need it. 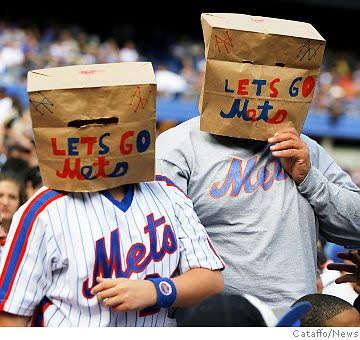 The 2009 Mets will not be their worst team. There were very terrible teams when the franchise began in the early 1960s. The Mets fell apart in the late 1970s after the Tom Seaver trade when the management would not pay competitive salaries. Back in the early 1990s the Mets were the worst team that money could buy. Sadly, this years team was decimated by injuries. I will attend the 6 games remaining in my 6 gme package. 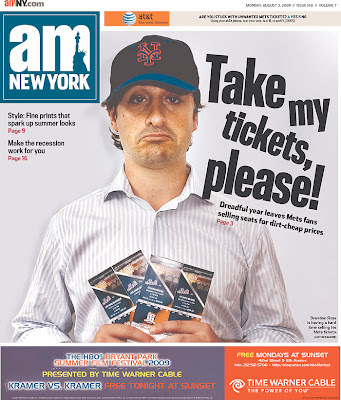 The headline above was taken from AM New York, one of two free newspapers given out by subway stations. This morning I could only get the Metro, its competitor. I'd like to thank regular reader Frank D'Agostino for bringing this to my attention. "Sooner or later, you have to pay for everything you get and everything you do. Eventually you will have to face the consequences of all your actions and decisions."